One of my favourite reasons to walk or bike is the ability to have a random encounter with something extraordinary. 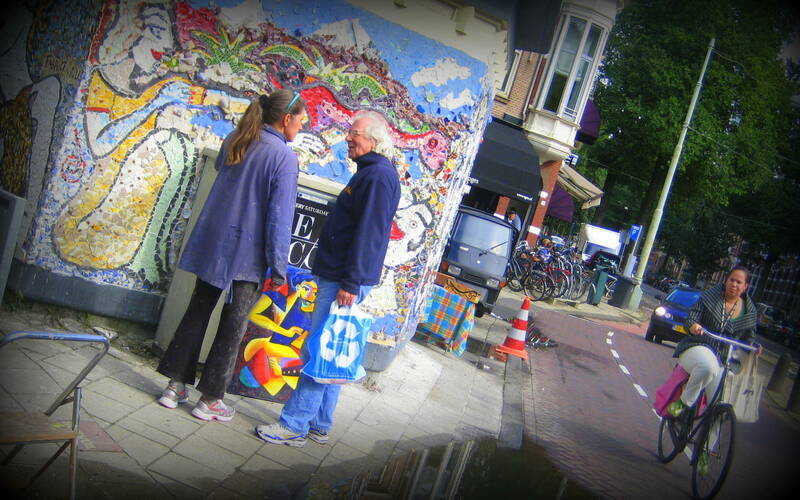 The other day, while wandering the streets of Amsterdam with a friend, we came across the creation of a beautiful street-side mosaic. What was once a bland electric box slowly transformed into a new city symbol. The artist, Fabrice, has actively transformed dull corners of Amsterdam with his gift of colour, creativity and perception since the 1970s. 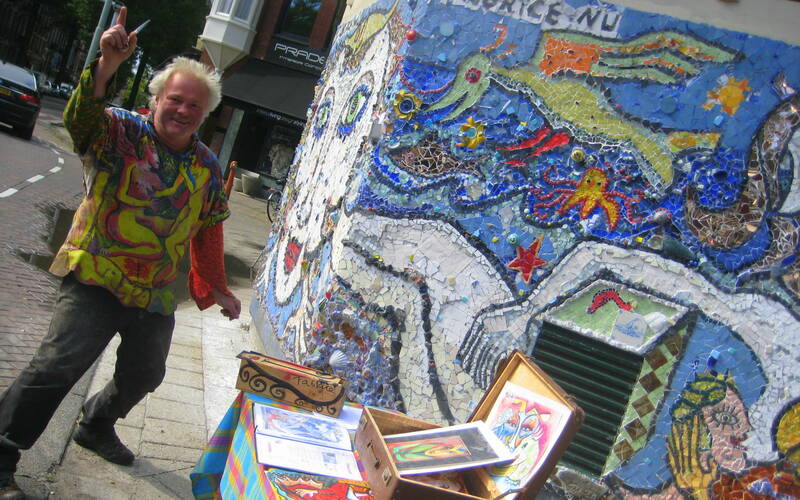 His mosaics, paintings and other public art works dot the city, bringing a dose of colour and charm to the surrounding neighbourhood. 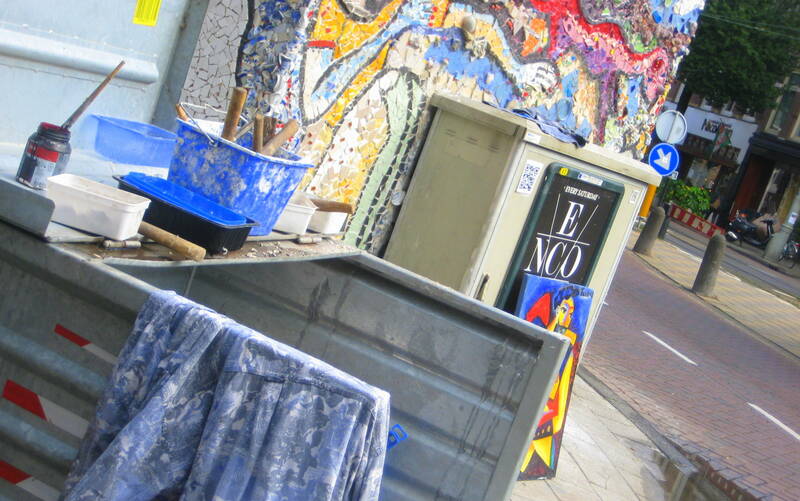 From what I understand, Fabrice develops the projects of his own design, gets permission (in this case from Liander, the Dutch utility company), works with a team of local artists and later ‘sells’ the work to the community, through donations and support. Amsterdam is already a picturesque city, but when artistic citizens view it as their canvas, this beauty and its urban quality are enhanced. All the more, using slow transport options – by the bicycle or on foot – allows one to become part of this city canvas, even taking the opportunity to find out about a new urban art project underway. Next time I bike by, I will know the artist and his motivation for creation. Living or traveling through Amsterdam and want more details, check Fabrice’s website! 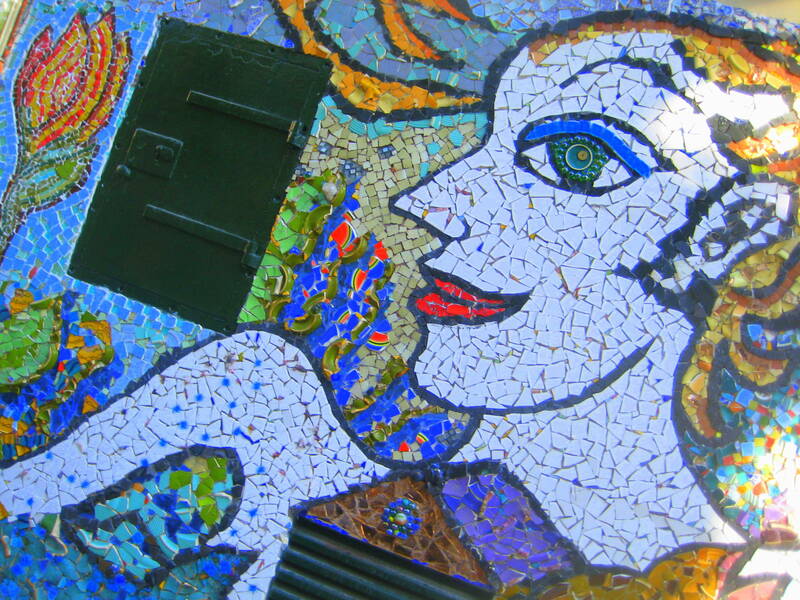 Want to see the Mosaic in the making?